Insights Qualitativos 2.0: How can Qualitative Research Consultants (QRC’s) move into a role of a Market Research Online Community consultant? How can Qualitative Research Consultants (QRC’s) move into a role of a Market Research Online Community consultant? I am finding some sponsors of Market Research Online Communities just do not understand how to engage community members nor understand the group dynamics of an online community. Companies will build a community on their own; expect immediate engagement then realize that people don’t spontaneously talk about their product without proper facilitation and moderation. Communities are qualitative in nature. It takes time and effort to bring them to their full potential. I feel many Qualitative Research Consultants (QRC’s) can move into a role as a community consultant or moderator. Those who have been conducting online bulletin board groups understand the nuances of communicating via text over face to face. QRC’s who know how to get people to go beyond a Q&A session and can create a cross talk among respondents via text will be most successful in this role and may be the first of our profession to make the shift to becoming community consultants. 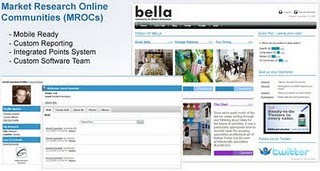 What other engagement or reporting skills do you see QRC’s can bring to a Market Research Online Community?